I have restaurant business and cooking in my blood. My parents owned restaurants my entire life and I always liked to be in the kitchen ‘helping’. 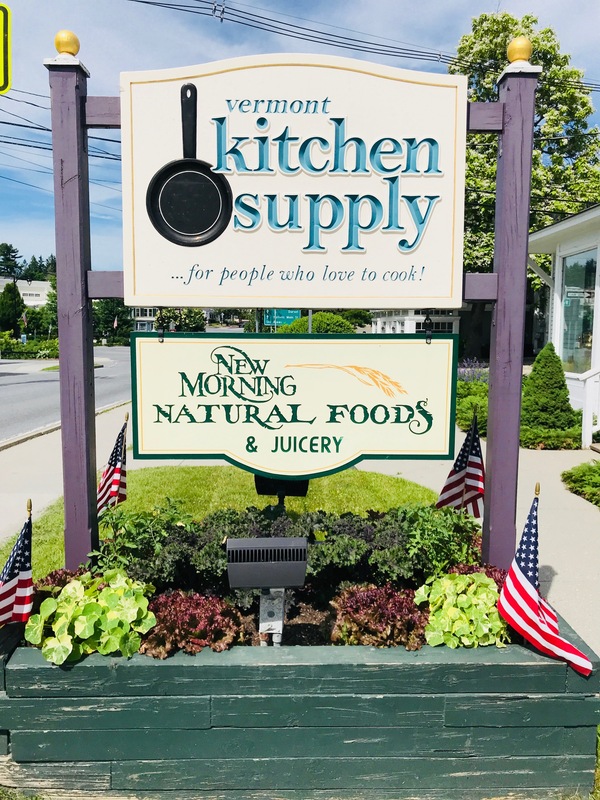 Years later, I wound up back in my home town of Manchester, Vermont working at a kitchen shop and just loved the merchandise. While there, Lyman Orton the owner of the Vermont Country Store, offered me a position and I wound up as a buyer for their mail-order catalog. Working for a successful family-owned business that was socially responsible brought me great joy. It was a wonderful job and it taught me how I wanted to do business. 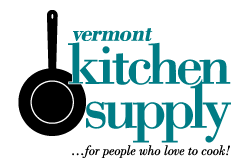 In June 2001, I opened Vermont Kitchen Supply in the basement of Harrington’s on Main Street, Manchester Center. It was small, dark and had no storage but it was affordable and I loved the landlord. For four years, we dragged merchandise back and forth to rented storage locations all over town. It wore heavily on all of us. Then in 2005 our landlord declared that he had purchased another building two doors up from my current location. It had lots of windows (read LIGHT!) and oodles of storage…did we want to move into it??? We jumped at the chance. In October 2005, over 100 friends, family and a bunch of just plain nice folks who live in the community helped us to move into our new location at 4712 Main St.
We closed for just two days all thanks to the dynamic group that helped deconstruct and reconstruct each and every fixture in the shop. It was an amazing process and one that still makes me shake my head in gratitude and amazement. JULY 2016 UPDATE: WE MOVED AGAIN!!!!! Yes, we packed it all up and moved it (again)...crazy, huh?? This time we have even MORE space and light. Please visit us at our (last) NEW location - 4788 MAIN STREET....Just a few buildings north of our old location and on the same side of the road. I love being part of a community and being able to make a difference. I thank you from the bottom of my heart for shopping with us and allowing us to do what we do best – sell great products at fair prices and back them up with excellent customer service.